It is uncommon that country pairs would be directly connected by shipping services. The concept of “intermediacy” is thus important in regional or global freight distribution, as it addresses a whole range of network structures and nodes using to connect different market scales. 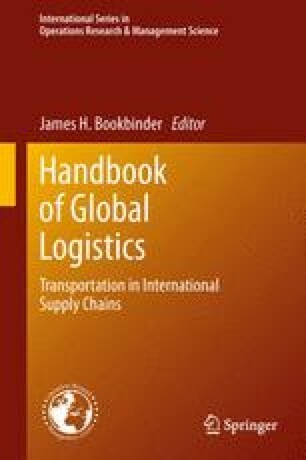 In this chapter, the comparative intermediacy of transport nodes in Europe and North America is assessed over intermodal rail transport, and especially in container shipping. The respective cases of gateways, gateway port systems, and coastal and inland waterways are discussed. Each exemplifies a particular dimension of the intermediacy and freight regionalism that distinguishes North America and Europe.